A GREAT SOURCE OF ELECTROLYTES! Electrolytes are minerals in your blood and other body fluids that carry an electric charge. It is important for the balance of electrolytes in your body to be maintained, because they affect the amount of water in your body, blood pH, muscle action and nerve impulses. Electrolytes directly influence the activities of all major organs in the body. Without them your heart, brain and every other organ would simply cease to function. You lose electrolytes when you sweat, and when you go to the toilet. ARE YOU LOSING MORE MINERALS THAN YOU CAN AFFORD? During periods of physical exertion, large amounts of electrolytes can be lost in sweat. The least a person should do during this time is to drink plenty of water. Ideally it is recommended that an electrolyte replacement be introduced at the same time. A good quality, well balanced Ocean Derived Mineral Supplement will assist the body in maintaining viable electrolyte levels in your body's fluids. Ionic Sea Minerals is that supplement. It is pure, concentrated ocean water, and nothing more. We take 100 gallons of pure Australian ocean water and evaporate it down to 1 gallon. In the evaporation process around 99% of the sodium precipitate outs of solution (solidifies). The liquid that is left is a very low sodium, ultra dense mineral and trace mineral solution. 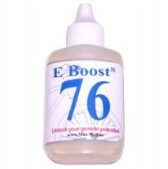 A good balance of electrolytes is required for both young and old. Electrolytes (minerals) directly influence all biological processes of every living creature. They assist the body in extracting and processing vital nutrients. Electrolytes fall under the classification of micro nutrients. An imbalance in minerals, both macro (major minerals) and trace (minor minerals) will disrupt the levels of all other micronutrients, vitamins included. Deficiencies of trace minerals have been recognized by the United Nations as a major cause of illness and death. They are now trying to address this through their micro nutrient initiative. Mineral and other micro nutrient deficiencies are now recognized as having a brain draining effect. They impede not only the growth and wellbeing of many millions of children and adults, but also disrupt a person's academic and productive potential. This problem confines whole nations to an endless cycle of poverty for generations. A mineral deficiency in children will lead to underachievement in school and have a detrimental effect on a child's natural immuno-defenses. Adequate levels of minerals will have the completely opposite effect, enabling the child to excel in study, work and play, thereby ensuring you and your family enjoy life to the fullest. Click here to go to our Ionic Sea Minerals FAQs page. 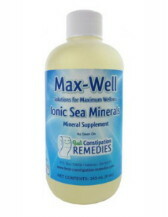 Ionic Sea Minerals also may work well as a solution to constipation. Just take them before bed to help with easier elimination the next day. They also work well as a Sports Electrolyte. More info. on overcoming constipation and using Ionic Minerals for Irritable Bowel Syndrome. The magnesium in Ionic Sea Minerals have other benefits. Looser stools (do you need any help with constipation? If so, sea minerals might help). A queasy stomach for the first few days, as your body adjusts. A time of detoxification during the first month of use, due in part to an increased efficiency of the liver. If you experience diarrhea or an upset stomach, dilute the product more, take after a meal, or decrease the amount you are taking. Sea minerals contain all the naturally occurring minerals, including iodine. If you are allergic to any mineral and make the decision to try our sea minerals, please do so with caution, and at your own risk. If you have kidney disease, only take Ionic Sea Minerals under the advice of your doctor. Healthy kidneys easily filter out extra magnesium not needed by the body. However, if your kidneys are not functioning properly, magnesium can accumulate in your system, and a magnesium toxicity can occur. The normal adult dose is 1 tsp. (80 drops) per 160 pounds. If you are allergic to a specific mineral, you might try starting with a few drops a day, and work up from there, monitoring to see if there is a reaction. Most people should experience no reaction at such a low beginning dose. Mix 1 teaspoon of a Max-Well mineral supplement product with 3 to 6 oz. fruit juice, chocolate milk or a quart or two of lemonade (1 to 2 tsp. real lemon juice, sweeten), and drink during or after your evening meal, or in the evening before bed. Do not take on an empty stomach, since it may result in nausea. Do not take without diluting. For the first 2 or 3 days, consider taking a half dose to allow your body time to adjust. If you are sick and want to take a larger dose, consider taking less each time, but 2 or more times a day. Should you get diarrhea, it is an indication that you need to back off on the amount of sea minerals you are taking. Small children may take Max-Well mineral supplements at a rate of 1 drop per every four pounds of body weight. For instance, a 12 lb. infant will take 3 drops. Children over age 3 may take Ionic Sea Minerals at one ml per 35 lbs. of body weight. It may take a week or more for a child to be able to take this amount. Adults, take 1 ml. Ionic Sea Minerals for every 30 lbs. of body weight (1 tsp. per 150 lbs.). Pets: 1 drop per two pounds of weight per day. Mix it in their drinking water, or with their food, if the food isn't dry food. Young pets, 1 drop per 4 lbs. per day. Our Ionic Sea Minerals are bitter, but fortunately they don't leave much of an after taste. After taking Ionic Sea Minerals, drink a swallow or two of something to wash the bitter taste from your mouth. Do not refrigerate Sea Minerals. Store at room temperature. An 8 oz. bottle of Sea Minerals is a 48 day supply. They have at least a 5 year shelf life. The adult dose is one teaspoon for an individual weighing around 150 pounds. Consider adjusting the dose up or down to match your weight (i.e. 2 teaspoons for 300 pounds). When taking for constipation, up to 1 tablespoon may be taken. However, exercise caution, as it may produce stomach pains and diarrhea. The statements contained in this web site have not been evaluated by the Food and Drug Administration. 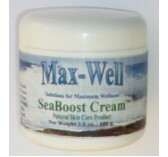 Max-Well products are not intended to diagnose, treat, cure or prevent any disease.